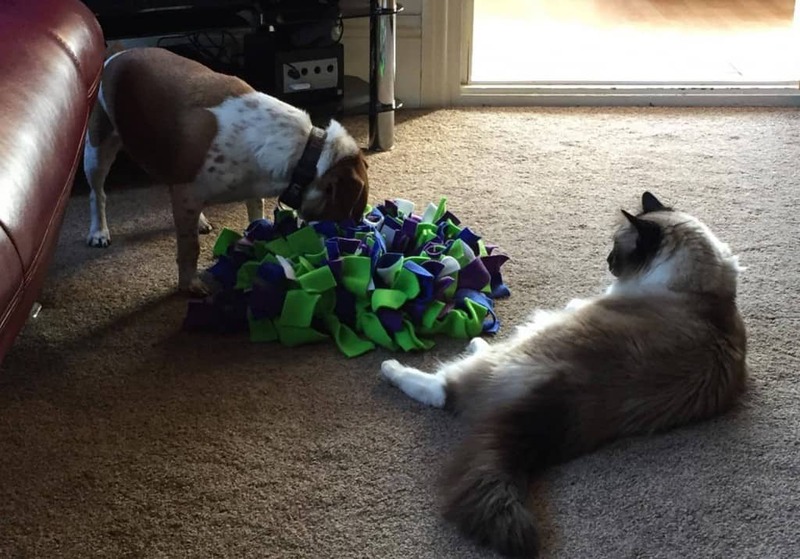 Thanks to Sarah for sending use a picture of her dog who’s having great fun with his Ruffle Snuffle rug – even if the cat is a bit jealous! “Received my Ruffle Snuffle today after ordering very late Wednesday nigbt! 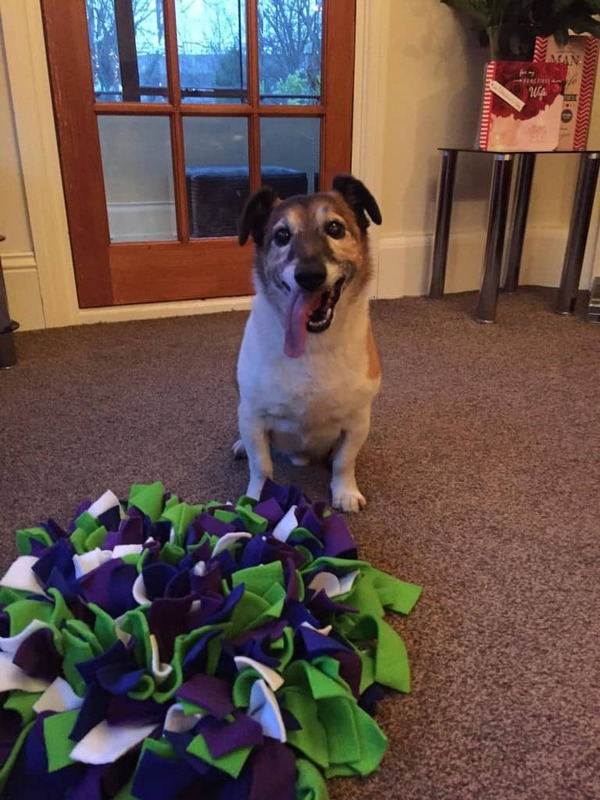 Wow, kept my jack Russell very occupied!!! 😍 Recommend recommend recommend!!! !” Sarah, Essex.